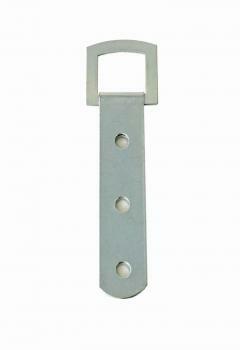 With three fixing holes, strap hangers are a popular solution for hanging heavy work. The fixing ring also remains fairly flush to the moulding. Ideal for use with Wall Plates (WP67).